More Americans are turning to complementary health approaches like yoga and meditation to help manage pain than ever before. Findings from the 2012 National Health Interview Survey provide comprehensive information on the use of complementary health approaches in the U.S.
One of the most challenging parts of suffering from persistent pain due to physical or mental health conditions, post-surgical pain and other debilitating illnesses is the overwhelming feeling that you are alone in your struggle. 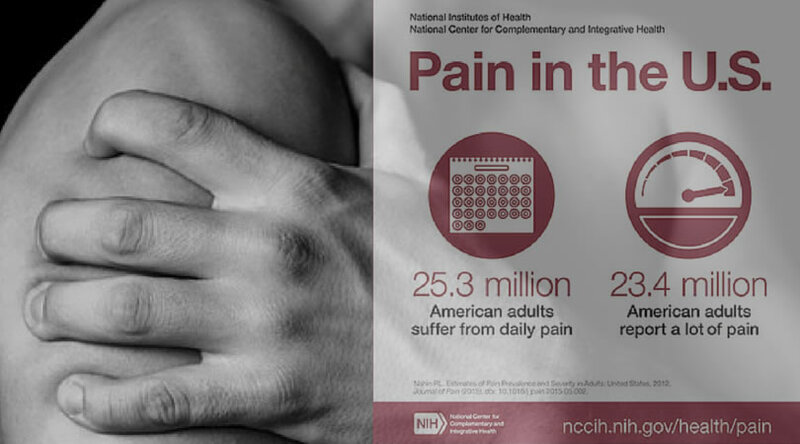 The statistics on pain in the U.S. speak for themselves. According to the National Health Interview Survey (NHIS) study, 23.4 million adults (10.3 percent) experience “a lot” of pain. 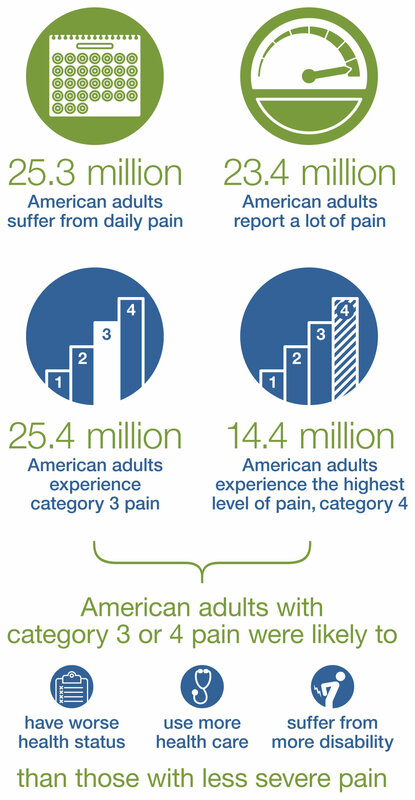 An estimated 25.3 million adults (11.2 percent) had pain every day for the 3 months preceding the survey, and nearly 40 million adults (17.6 percent) experience severe levels of pain. Each year, interviewers visit between 35,000 and 40,000 households to ask people questions about their health. Once every 5 years, the NHIS includes questions about complementary health approaches (2002, 2007, and 2012). The 2012 survey collected information on the use of many complementary health and mind/body approaches, including popular ones like dietary supplements, chiropractic or osteopathic manipulation, yoga, massage, and meditation. I have discussed several of these practices on my radio show, Aches and Gains. In Parts I and II of the episode on Yoga For Wellbeing and Comfort, I talk with Christine Chen, author of Happy-Go-Yoga, about how this practice can help us withstand our daily pain, and Dima Shlapokovsky about how yoga has helped him relieve chronic lower back pain after an injury and spine surgery. In 2012, 33.2% of U.S. adults used complementary health approaches. This is similar to the percentages in 2007 (35.5%) and 2002 (32.3%). The percentage of adults who practice yoga has increased substantially, from 5.1% in 2002 to 6.1% in 2007 and 9.5% in 2012. Adults in the two most severe pain groups were likely to have a worse health status, use more health care, and suffer from more disability than those with less severe pain. However, approximately half of individuals with the most severe pain still rated their overall health as good or better. There were associations between pain severity and race, ethnicity, language preference, gender, and age. Women, older individuals, and non-Hispanics were more likely to report any pain, while Asians were less likely. Minorities who did not choose to be interviewed in English are markedly less likely to report pain. Here is an infographic with figures from the survey analysis. The NCCIH’s mission is to define, through rigorous scientific investigation, the usefulness and safety of complementary and integrative health approaches and their roles in improving health and health care. Posted in Blog, CAM, In the News, Innovative Methods and tagged alternative treatment, chronic pain, complementary health, massage, pain, pain management, pain relief, statistics, yoga.